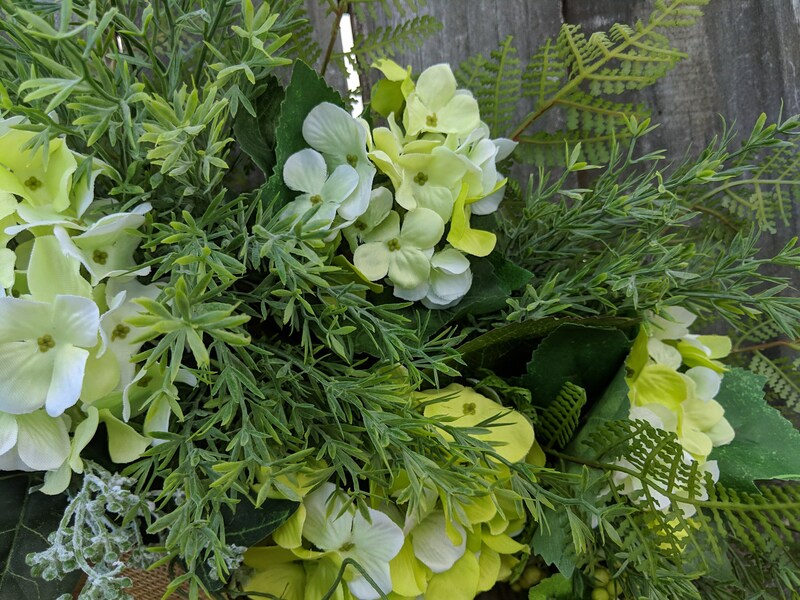 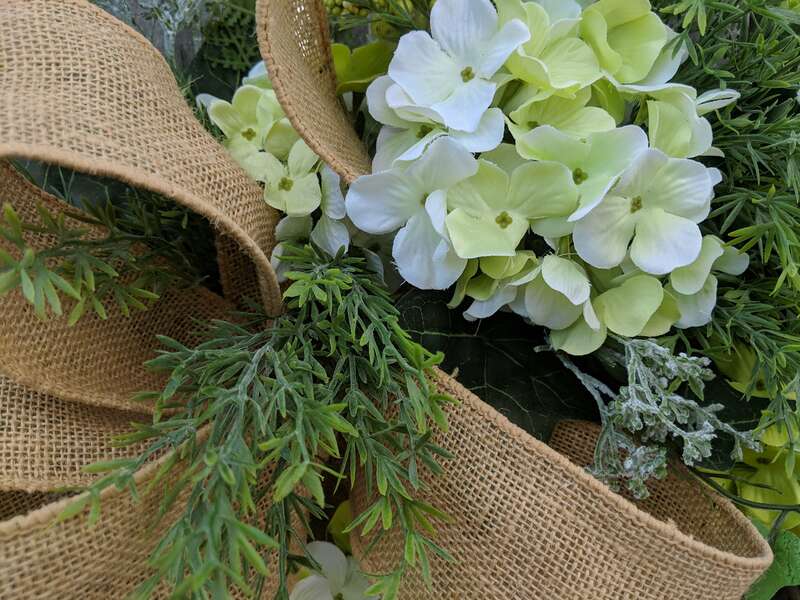 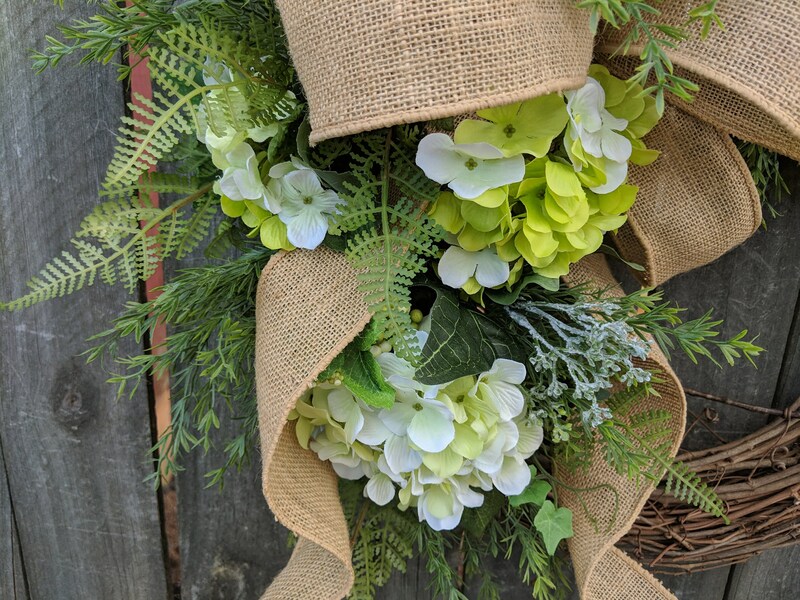 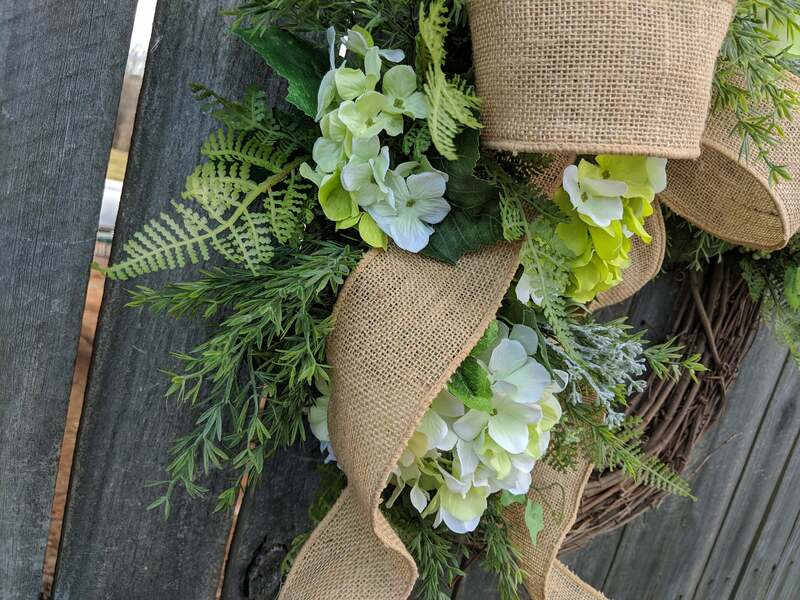 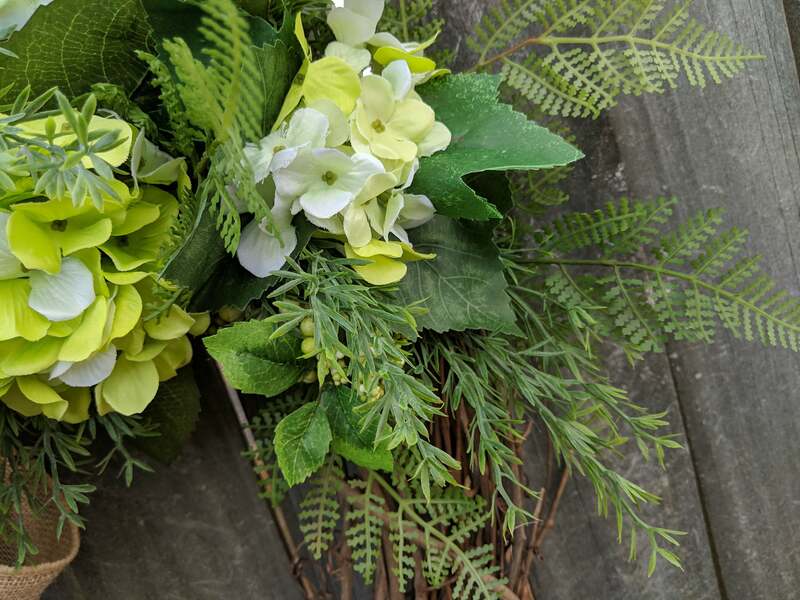 This beautiful burlap hydrangea wreath is the perfect simple accent for your door or interior. 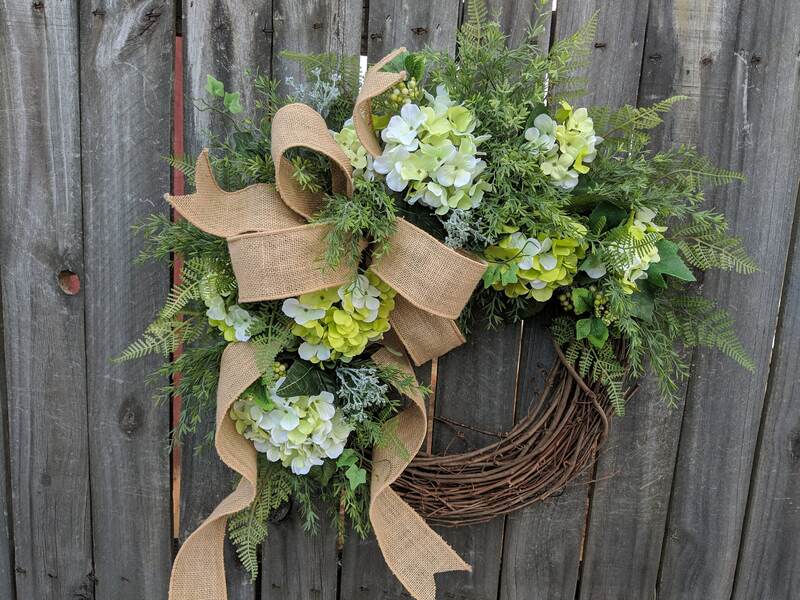 A wired burlap ribbon makes a simple bow. 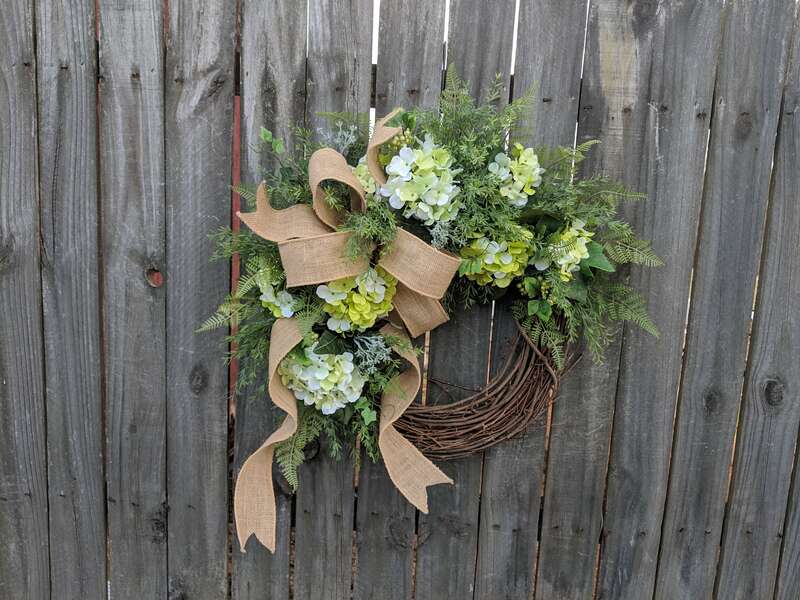 This wreath's fern light and airy feel where the grapevine base is visible in places. 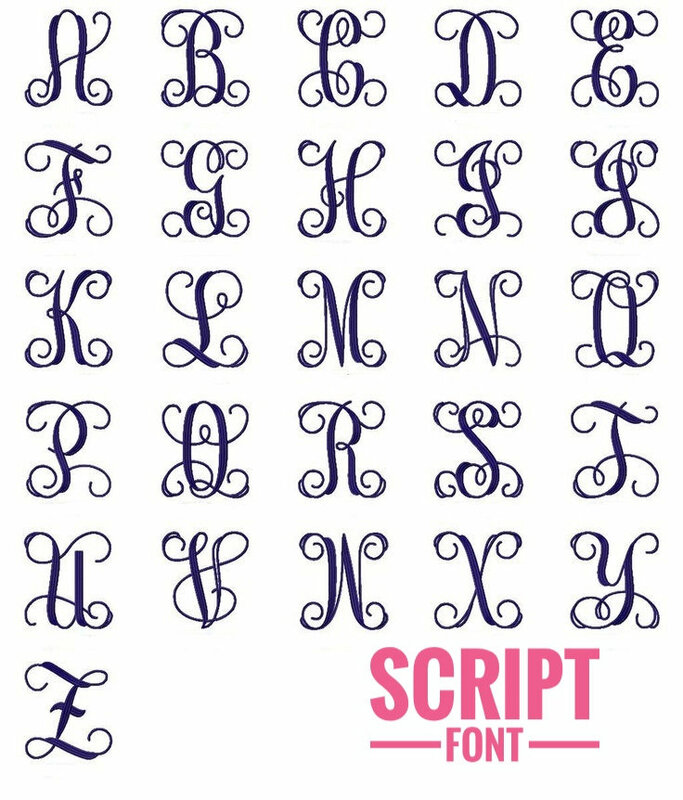 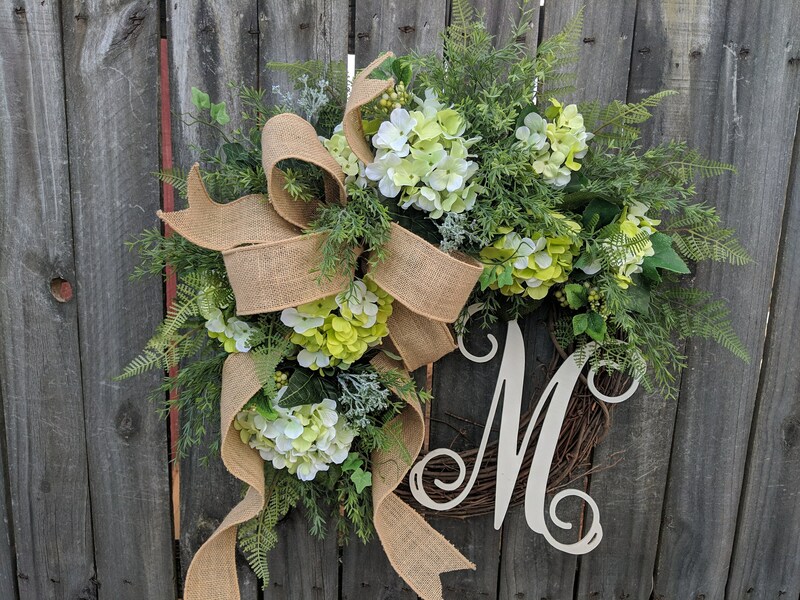 This wreath is available with both an off-white script font monogram letter and a white Block font. 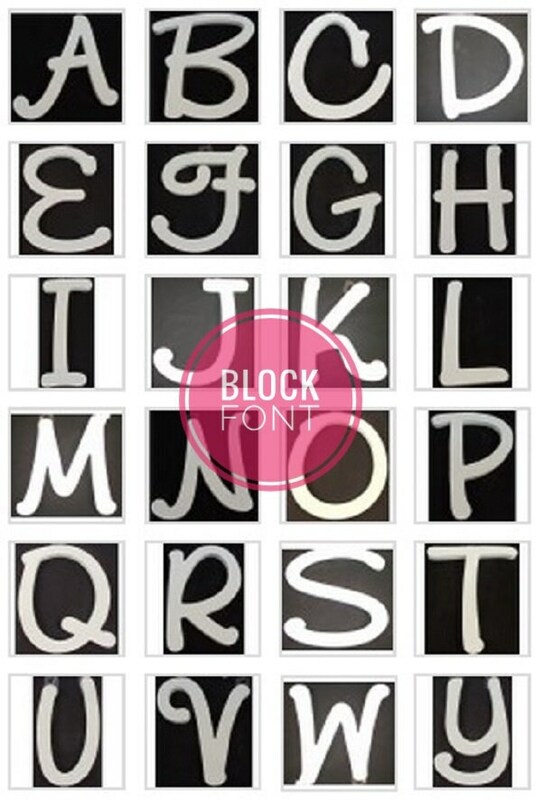 Check out the photos in the series above to see examples of each font.